IThe Zakat Assessment & Collection Agency (ZACA) assists our community members with the proper practice of the 3rd pillar of Islam, a very important ibada (act of worship). ZACA conducts educational seminars on Zakat, correct calculation methods, where Zakat should be paid, different types of Zakat, and much more. ZACA provides consultation for proper calculation and payment of your Zakat, and is also responsible for collecting Zakat for the Muslims in the Central Florida community. A calculation worksheet is available below and in the ZACA brochure for your convenience. Should you have a complex case with a variety of assets and other conditions, you can make an appointment and a qualified Imam will be happy to assist you. 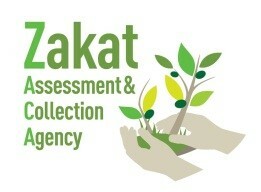 Zakat is the third pillar of Islam, it is mentioned 82 times in the Quran along with Salat.